E88 is a 5-floors building with its unique and outstanding large hall. The design inspired by an egg-shaped and decorated with art pieces. For first to the third floor, we gather all the greatest restaurants in Thailand, allow you to pick your preferences. 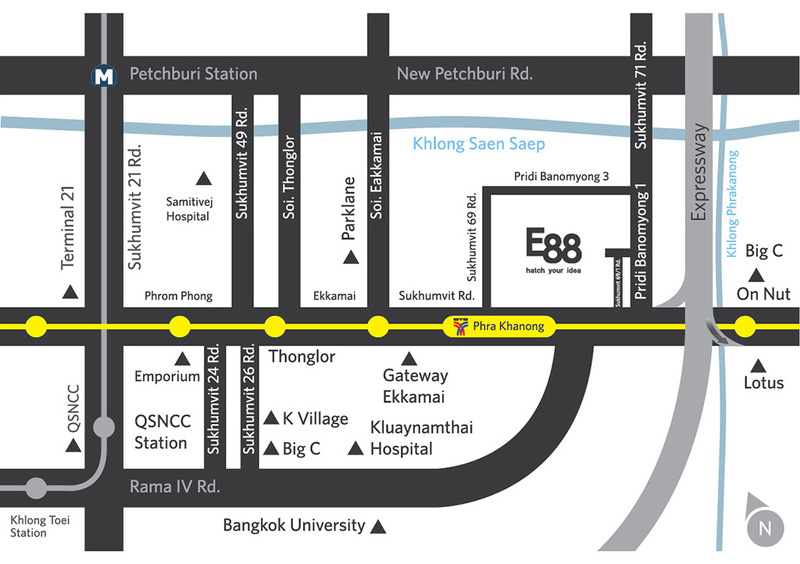 E88 is located near by BTS together with more than 20 well known restaurants and artworks by famous artists. "E88 is a stunning egg shaped sculptures underline W District’s identity" Providing catering and event area on 4th floor and rooftop as well. Customers can take the advantages of outdoor & indoor atmosphere as well as stunning view of the city. The total area is 2,922 square meters with 2 basement floors for parking.